Thanks to our LMEA Conference Program advertisers! Thanks to our Collegiate Conference Exhibitors! The turn of a new year always brings hope and excitement for a fresh start, a different approach, or a desire to pursue new goals or even unfulfilled aspirations. As LMEA strives to listen, respond, and develop solutions to meet the needs of membership in 2018, your communication to your board member is paramount toward realizing improved or new developments in our activities. The efforts that the board has made these past three years to schedule assessments that will meet the needs of school music programs while juggling state testing demands has been no small matter and at no small expense. In this third spring of regional assessments we are taking stock to evaluate and regroup our efforts to maintain the best and improve the rest. But we need to hear from you through your district director. Core curriculum teachers are questioning arts SLT’s and the subjective factor of teacher-made and teacher-graded assessment in the arts. Some school systems are looking to utilize sources of more objective measurement for music programs. LMEA assessments, similar to others nation-wide, have been in place for over 50 years. Our performance and sight reading rubrics are substantial documents for determining the effectiveness of music instruction. A panel of adjudicators in the field of music education provides the objectivity needed to complete the task of quality assessment. It would be a positive step for school systems to look toward this proven assessment model to validate SLT attainment. As a member of the executive board, I have had the privilege of seeing the development of all aspects of the fall conference. It astounds me to see the coordinated effort displayed by the entire LMEA board in staging the foundation for this event. Then to see each division chairman coordinate rehearsals, performances, clinics, exhibits, meetings, award ceremonies, and a host of other activities in effortless fashion is just amazing. We all benefit from the sacrifice of time and attention to detail by James Hearne, Conference Chairman, as he leads, and oversees the event. It is with great appreciation that I acknowledge our district directors, ex-officio members and associate organization members for your support, involvement, and countless contributions to the fall professional development conference. LMEA is an organization of genuine leaders and supportive members who together develop a positive platform to promote quality music education. It is a pleasure to serve with you. With sincere gratitude. As I write my last article for The Louisiana Musician, it is with heart-felt gratitude that I pause and reflect on my time in office. I have had a chance to meet and work with so many wonderful people from around the state. What a blessing! Thank you for your trust, your support, and your confidence! Change. I recently heard a clinician at Midwest quote John Dewey: “If we teach today as we taught yesterday, we rob our students of tomorrow.” Whether it’s a noun or a verb, change can be scary, exciting, frustrating, confusing, promising, hopeful…. At the very least, it will be different! Change is, perhaps, one of the most all-encompassing words I know! It’s jumping into the unknown with an idea as your parachute. Six years ago, Pat Deaville spoke of the many changes in education he expected to see in the “near future.” He’s always been a voice of wisdom! Ten years ago, I changed teaching assignments, opting to take a jr. high position. I never thought I’d enjoy it as much as I did, but it also brought days of “change on steroids [junior high hormones]!” Likewise, as I settle into retirement, change is again knocking on my door. LMEA has also embraced many changes in the last few years, something I’m very proud of. 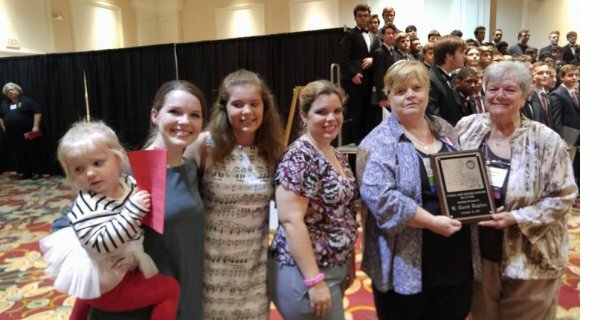 To name just a few, we’ve jumped into the digital age adding online registrations; made sweeping changes to the All-State Jazz audition process including digital auditions; added an All-State Women’s Choir; begun an emailed newsletter; changed from a single location for State Large Ensemble Assessments to three regional locations…. We continue to grapple with and adjust events to accommodate the new evaluation process and testing schedule. 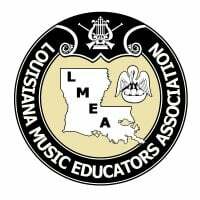 Many other changes have been “behind the scenes” or procedural in nature, all in an effort to better serve you, Louisiana’s music educators. Get involved – with the new, younger people that are volunteering, come more ideas and more potential change, and it’s good! I look forward to an ever-evolving organization designed to serve you the best we can in an ever-changing era. Annual Conference 2017. Thank you to all who helped with conference registration. I really appreciate you! We had approximately 445 teachers and collegiate members in attendance, representing over 234 K-12 schools and colleges. And a special thank you to all who worked so hard to prepare excellent sessions. If you have an idea, please consider submitting a proposal for next year. You can find information online. President and Divisional Elections. We only received one nomination for each office. Therefore, the new slate of officers was accepted by acclamation at the January board meeting. Their new terms will begin at the end of the May board meeting and continue for two years. Thank you and congratulation to all! I hope you all have a successful and rewarding spring semester! I also realize that, regardless of how experienced a teacher is, it will conclude at least a little differently than expected or hoped for. Noun or verb, it is change! Take a deep breath and don’t be afraid to embrace it and move forward! If you have any suggestions or questions or if I can help you in any way, please email me at sharon.mcnamarahorne@gmail.com.